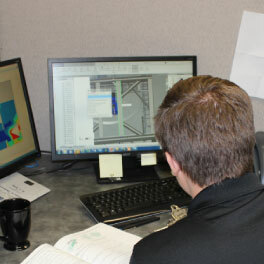 A tec, Inc. is your comprehensive resource for test cell facility and support equipment design. 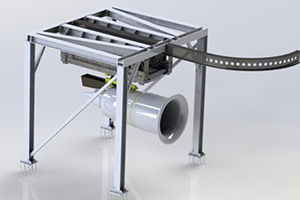 Atec can provide turnkey project management for the design and construction of your turbine engine test facility, mobile engine test systems and major support equipment. Our 100+ engineers and scientists understand that the best design begins with understanding your needs and future requirements. With an open line of communication, we design to your specifications, incorporating best practices, lessons learned and Atec advantages from over 65 years of experience. 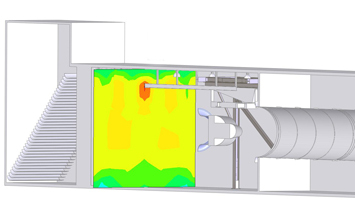 Our test cell design team uses the latest in 3D modeling to address Aerodynamics with modern software for FEA, CFD, Aero Acoustics, Noise Control, DAS Networks, thermal analysis, structural and fatigue issues and liquid flow sizing, to ensure that our systems meet the structural and dynamic requirements of customer and industry standards. Now employing the added proven concepts from experienced Vital Link and Celtech personnel, we can practically adapt and upgrade your existing facility for new or different engine types, or develop a turn-key new facility. We’ll work with you to resolve problems through careful examination, efficient design, collaboration and meticulous documentation. Atec’s engineering team includes electrical, software instrumentations and systems engineers with years of experience supporting turbine test cell systems and component test equipment.